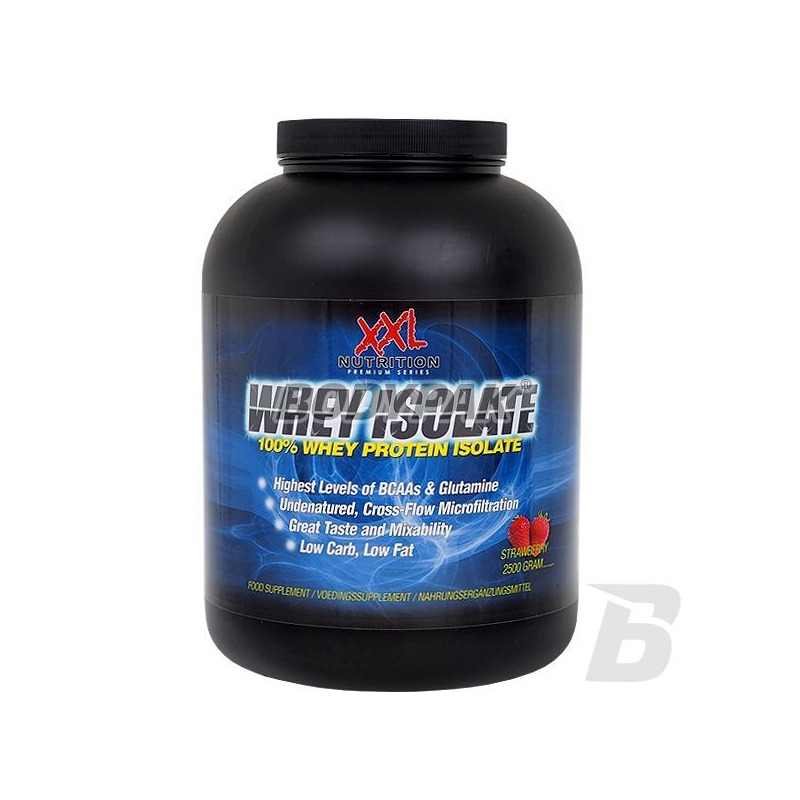 High-protein supplement containing in its composition 100% rapidly-absorbent whey protein in the form of CFM isolate. This protein has a high biological value (BV 159), and low in fat and sugar. 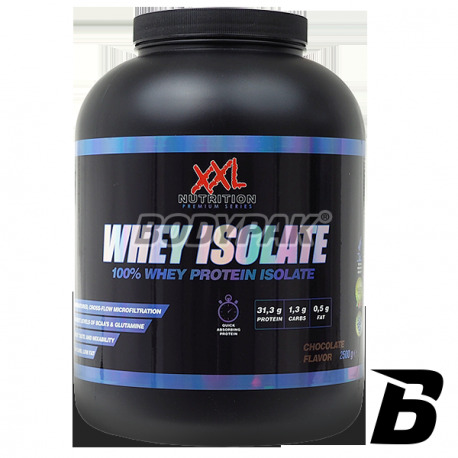 XXL Whey Isolate- is a high-protein supplement containing in its composition 100% rapidly-absorbent whey protein in the form of CFM isolate. This protein has a high biological value (BV 159), and low in fat and sugar. 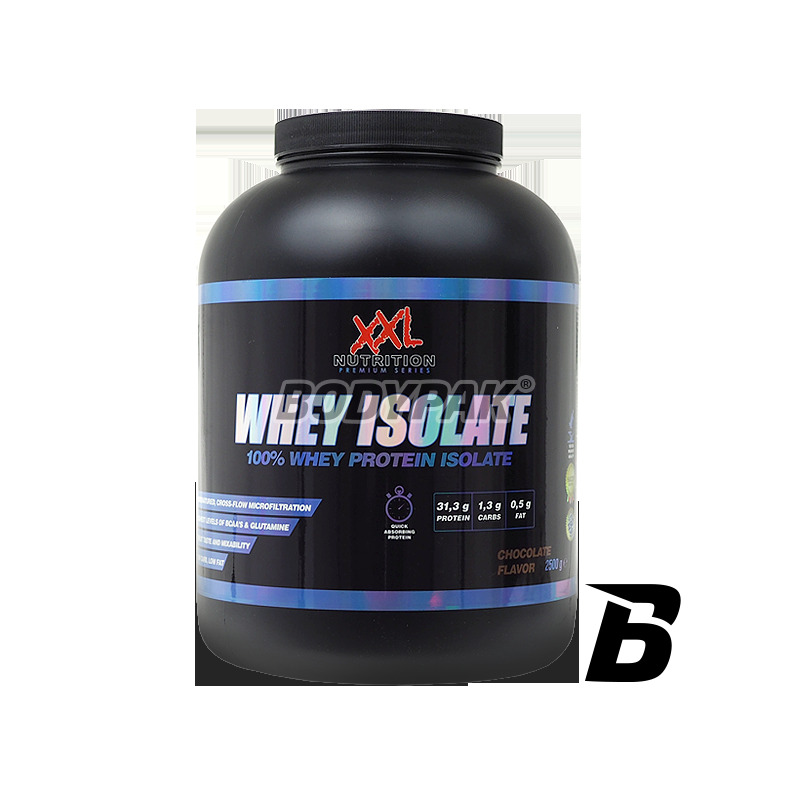 The ultrafiltered, Niedenaturyzowany whey protein isolate - very easily absorbed - absorbed from the gastrointestinal tract in just a few - several minutes, has a broad amino acid profile, high biological value BV = 159, rich in alpha-lactalbumin - reducing stress, prevent cancer and diseases, cardiology, lactoferrin that is perfectly absorbable iron and lactoperoxidase, conqueror of bacteria. It has a very low content of lactose and fat which translates into greater comfort digestion and better absorption of taunts. High-quality whey protein concentrate composition of goat and sheep with the addition of mastic (Chios Mastiha). The product does not contain cow's milk! Especially recommended for people who are allergic to cow's milk protein. It is also a good alternative for products based on vegetable proteins, including soy protein. High-quality blend of proteins that make your diet will come to the next level! Excellent flavor, solubility, and stirring. It is 80% pure protein.